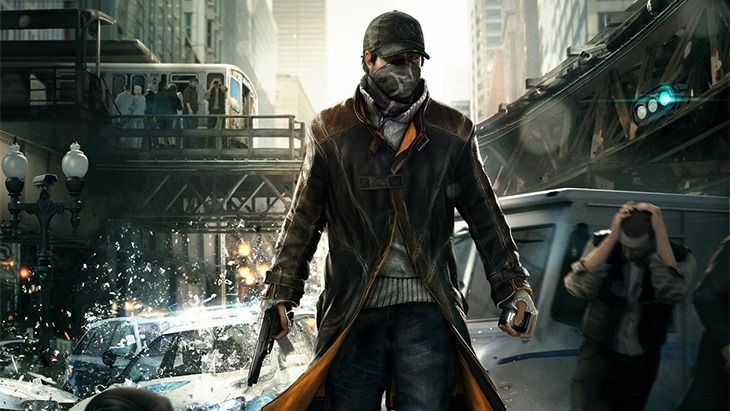 Watch Dogs stole the show at E3 in 2012. After a downgrade and a delay or two, Ubisoft’s highly anticipated, open-world hacking sandbox is finally upon us. If you’ve read our review, you’ll know that I rather enjoyed my time in Watch Dogs sandbox. What do other critics think? Mostly, they also rather enjoyed the game. As an open-world game, Watch Dogs provides “enough” — enough sidequests, enough space, enough of a playground — to qualify, but it doesn’t quite place. Other games have nailed a better balance in optional activities and large-scale ambiance, including other games from Ubisoft Montreal itself. 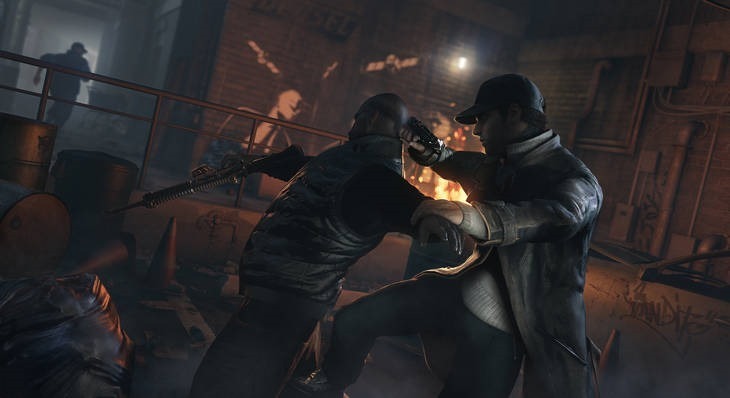 But when Watch Dogs focuses on the things it does better than anyone else, it finds an identity worth developing. As a hybrid open-world stealth-action game, it’s in a class by itself. 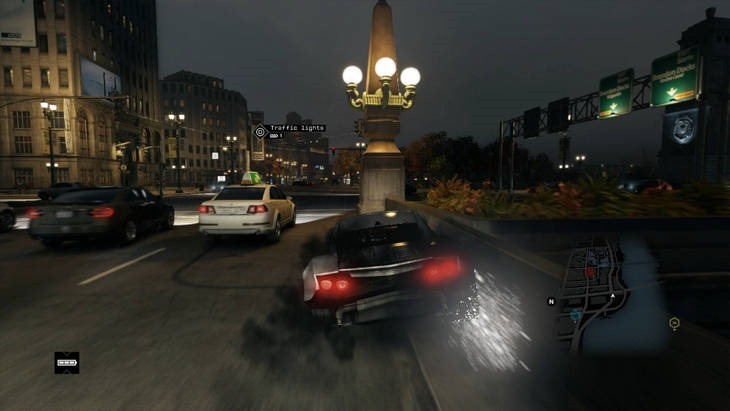 The advanced technology in Watch Dogs is not just indistinguishable from magic – it IS magic. The game would have you believe you’re the world’s most powerful hacker, bending surveillance cameras, traffic control and all manner of personal electronics to your one-touch whims. But in this paranoid vision of the future, in which every mundane device is grafted to the same computerized skeleton, the right software might as well be an all-powerful wand. Polished to a mirror sheen, and bursting with content, Watch Dogs is a great looking game with a thriving open world and an empowering premise. It suffers from being an amalgamation of every other major Ubisoft game, to the point where it doesn’t feel as fresh as it deserves to, but it’s still a varied, rich, thoroughly dense experience. One-button hacking might be overly simplistic, but it does give you abilities that make playing through Aiden’s story feel powerful and fun. Doing side missions and multiplayer as you make your way through the dark and lengthy story makes it feel like a huge adventure, and stealth options let you play smart if you prefer. 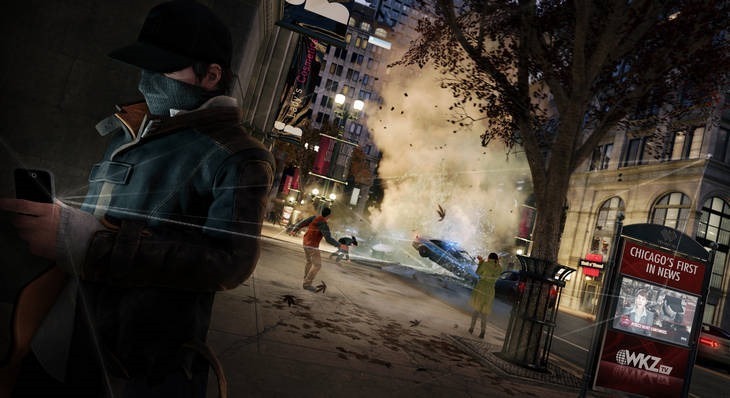 Car chases aside, Watch Dogs is fundamentally very well made, and has more than enough unique ideas to make it a great and memorable open-world action game. At the end of the day, Watch Dog’s story works as a basic revenge tale, and the final few missions provide some gravity to the characters. 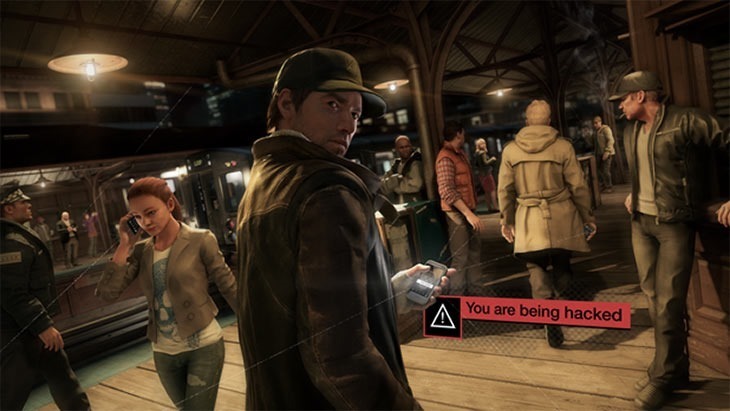 Ultimately, however, the main draw of any open-world game is the gameplay, and while not perfect, Watch Dog’s hacking abilities add an engaging and unique twist to the third-person action. Ubisoft has another deserved hit on its hands, and I look forward to seeing where the new series goes next. Watch Dogs doesn’t have that promising kernel. It certainly entertains, but mostly through borrowed concepts, and the central notion that could have made it stand out – the hacking – is the most undercooked of all. It doesn’t get anything horribly wrong, but nor does it excel at any of the genre beats it so faithfully bangs out. It’s good, and yet that always feels like a criticism when a game comes weighed down by this much hype. You won’t regret the time you spend in Aiden Pearce’s world, but nor will it be saved as a precious memory when you reboot. With its beautifully crafted open-world, huge amount of content and satisfying mechanics, Watch_Dogs is something you just can’t miss out on. The story is intriguing and filled with great moments and characters with personalities. The hacking and the “connected world” also make for some genuinely entertaining moments. The only thing really holding it back is the driving mechanics, but make no mistake that it’s still well worth your time. Go out and get it. You will not regret it. Overall it seems that Ubisoft has taken quite a known open-world formula and put its own spin on things. The hacking in the game is just so much fun; you could sit and do it all day. In fact, I did mostly sit and do it all day. I was able to find a number of interesting people and take many a dollar from them by infiltrating their bank accounts. The game is perhaps let down a little bit by the driving mechanics and having the next-gen version not running fully up to scratch may disappoint some gamers. Interestingly though, you will soon forget about all the negatives when you get lost in the world of hacking. Watch Dogs won’t please everyone. Many will, I suspect, find it boring; a case of missions being a cycle of rinse and repeat. That’s the unfortunate, repetitive nature of open world games in general. It will, unfortunately, crumble under the lofty expectations it has set for itself. It fails to set a new benchmark for modern, open world games – but given that it’s the studio’s freshman effort of the sort, we won’t hold that against them.